The Chicago school of economics and has been one of the two top most influential schools of thought in modern economics. This has been mostly due to the influence of one man, the Nobel Prize winning economist Milton Friedman. 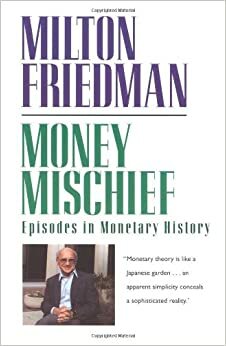 His premier contribution has been in the area of monetary theory, in Money Mischief he lays out why monetary policy is so critical and the havoc governments have created by trying to game the system for political benefit. Money Mischief is a must read for anyone who want to understand why monetary policy is so important and why the Federal Reserve is so dangerous.